Part of our food system planning grid. Over 300 people subscribe to the CT food system leader Listserv. 240 people have attended at least one of our gatherings. We are committed to growing our network and sub-networks, representing all sectors of the food system, and finding new ways to strengthen network connections. 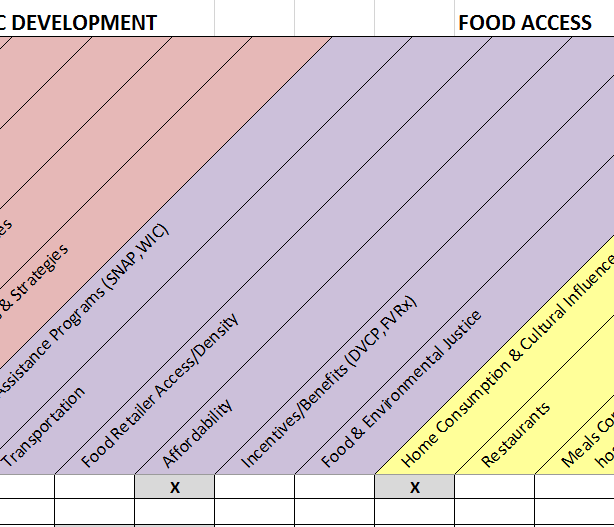 To see how we represent the food system in Connecticut, please view our Food System Planning Grid.